I cannot believe that we are nearing another end of the year. It feels like we just started school and now we have less than 2 months. 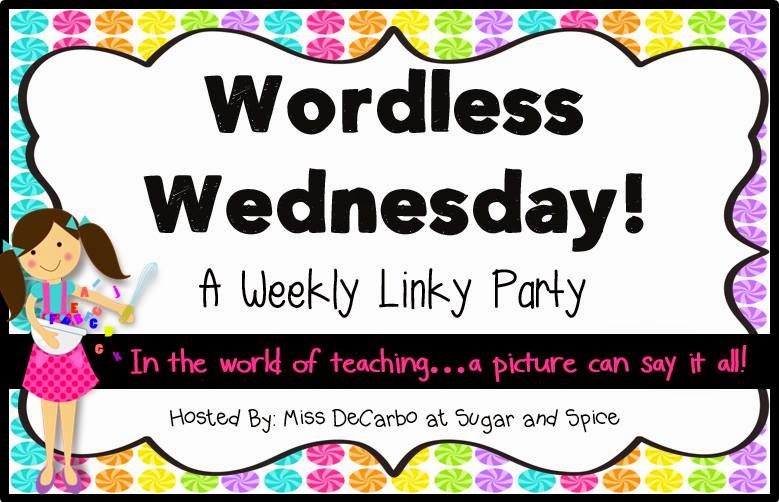 Anyways I am linking up with my super FABULOUS friend Miss DeCarbo for her Wordless Wednesday linky party. Love her tons!!! So here is my pic! I use many tools at my guided reading table. 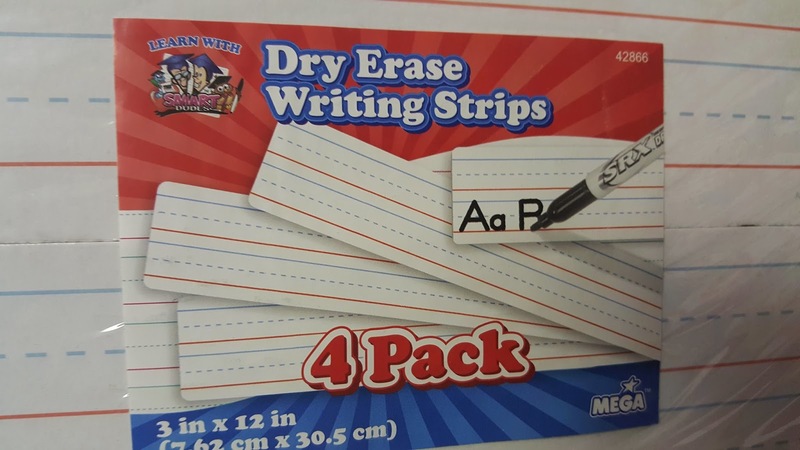 One of my favorites are dry erase writing strips that I found in the dollar section. What types of tools do you have handy for guided reading? You can put your answers in the comments below! I love witch fingers to track their reading! And 'spacemen' for their sentence spaces. The last thing we love is dry erase markers so that we can write on the table when we find important words! Those dry erase sheets are great! I have some mini whiteboards that I love for writing sight words. I also use magnetic letters & snapping letter cubes to work on new words. Oh, and there's a bucket of pointers nearby, too. Love the dry erase boards. Page protectors are another great option... could not live without my page protectors.